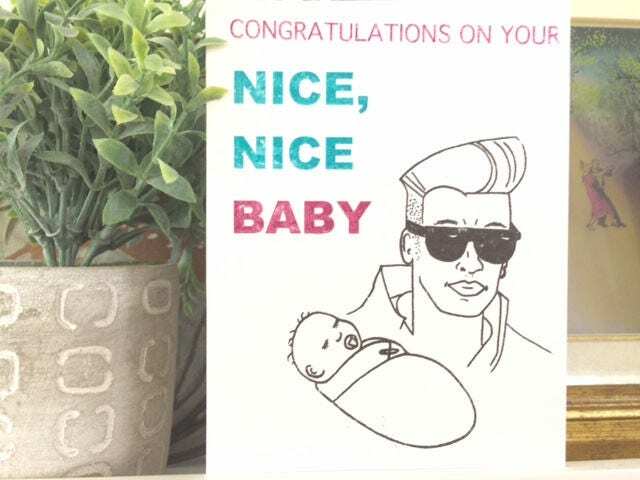 Send the new parents in your life some congrats on their nice, nice baby with a pop culture reference. Exactly as described - the card made my friends laugh, and they loved the neon envelope! Thanks! We loved gifting our best friends with this card! Thank you!